The Chinese People’s Liberation Army Air Force has sent a contingent of its J-10 fighter jets to participate in Pakistan’s National Day celebrations on 23 March. This is not the first time that Chinese aircraft have performed in Pakistan. Yet, coming on the heels of the recent India-Pakistan standoff, this is evidently an affirmation of China’s “all-weather” friendship with Pakistan. China’s decision to impose yet again a technical hold on listing Masood Azhar on the United Nations’ list of terrorists has already complicated India’s diplomatic efforts against terrorism. Although the Prime Minister Narendra Modi-led government has taken a sober line on this issue and avoided a confrontational stance towards China, it is imperative for New Delhi to nudge Beijing towards a more balanced posture between India and Pakistan. Over the past five and a half decades, China and Pakistan have had a strong relationship at multiple levels. Indeed, Pakistan is the only ally with which China has not had any serious friction. Although the relationship was forged against the backdrop of the India-China conflict and the 1962 war, the Chinese have been clear-eyed about their interests in any India-Pakistan crisis. During the 1965 war, the Chinese issued a couple of demarches to India, which sounded rather like ultimatums. Yet, they refrained from making any serious moves to back these up. Similarly, in the 1971 crisis the Chinese did not take any steps apart from routine diplomatic statements to intervene in support of Pakistan. Even when US President Richard Nixon explicitly urged the Chinese to make military moves against India to prevent it from over-running East Pakistan (now Bangladesh), Beijing chose not to respond. Contrary to received wisdom in India, China was not deterred by the Indo-Soviet treaty. Rather, China’s position stemmed from a cold calculation that the emergence of Bangladesh was inevitable and that it stood to gain nothing by tilting heavily towards Pakistan. By the mid-1990s, the Chinese were well aware that Pakistan’s sponsorship of terrorism was emerging as a threat to regional stability. The Narasimha Rao government had flagged this issue in discussions with Beijing. These efforts contributed to China adopting a relatively balanced approach between India and Pakistan from 1993 onwards. During his visit to Pakistan in 1996, Chinese President Jiang Zemin stated in a speech in the Pakistan National Assembly that Pakistan should deal with India the way China and India were dealing with each other: discuss thorny issue, but not let them hinder the growth of the overall relationship. This speech was a stark contrast to China’s repeated avowals since 1964 of support for Kashmir’s right to self-determination and so on. China’s stance during the Kargil crisis of 1999 and India-Pakistan standoff in 2001-02 was also carefully calibrated—not withstanding friction with India following the latter’s nuclear tests. Over the past decade, Pakistan has become more strategically important for China than earlier. Pakistan is a major destination for Chinese investments and plans in the Belt and Road Initiative. This will also provide China overland access to the Indian Ocean, which it deems important for its energy security as well as strategic access. Lastly, there has been a significant stepping up of military cooperation between China and Pakistan. The Modi government was initially well placed to persuade the Chinese to avoid too sharp a tilt towards Pakistan. Yet the widening power differential with China as well as a series of mis-steps eroded its ability to do so. 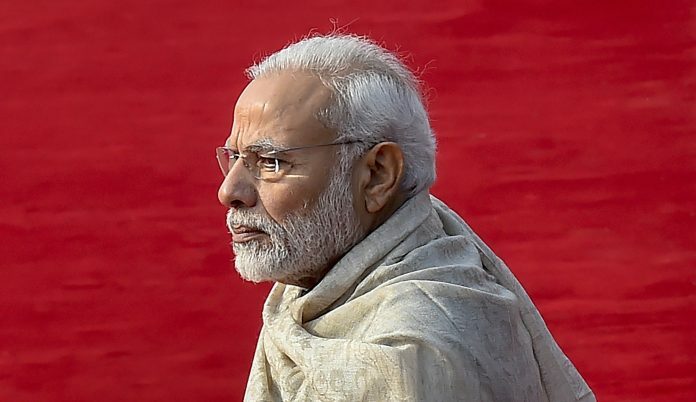 On several issues pertaining to China, the Modi government took a public stance: clarification of the Line of Actual Control (LAC), membership of the Nuclear Suppliers Group (NSG) and the listing of Masood Azhar as a global terrorist. None of these merited such a public push—let alone putting the prime minister’s weight behind them. Indian officials should have known that China had pointedly refused to proceed with the clarification of the LAC during the Atal Bihari Vajpayee government. They believed it would merely congeal the status quo ahead of a boundary settlement and hence sought the Special Representatives’ mechanism to negotiate the boundary. There was no point flogging this particular horse. Similarly, neither NSG membership nor listing of Azhar was intrinsically important enough to turn them into litmus tests of our ties with China. The outrage in India over China’s continued refusal to list Azhar suggests a continuing inability to assess our core interests. Will placing Azhar on that list seriously dent the capabilities of the Jaish-e-Mohammed? This is not to suggest that India shouldn’t pursue this objective — merely that it is not worth a confrontation with China. It is easy to dismiss this as “unilateral appeasement”. But the reality is that our relationship with China is difficult and we have a weaker hand to play. Diplomacy should help expand our options in such a context rather foreclose them in petulance. Think of how the Chinese are dealing with the Trump administration over the trade war. New Delhi’s efforts should be geared towards getting China to yet again calibrate its approach to India and Pakistan. Diplomatic patience will pay more dividends — including on terrorism. The author is Professor of International Relations and History at Ashoka University and a Senior Fellow at Carnegie India. Views are personal. After Indo China bai bhai by Nehru only Chinese invasion took place.So what we have to infer. The Print comes out with all weird and useless articles. Do you suggest that India shall be under the wings of China. One has to think of the national interest first. China is looking at her interest in CPEC. What Nehru has done and what Modi is doing is perfect as required by the time situation. Do you mean that the FOOLISH RAHUL GANDI shall be PM who is totally against the idea of India, who goes to meet Chinese people and ministers covertly, whose colleagues from party go to Pakistan and China and abuse India, Rahul Gandi goes to Singapore and says India is a country of rapists. It is high time The Print stops taking anti India stance or you shall close down. So in a way you are suggesting for stronger ties with China, including more trade, which in turn means more deficit and thus a greater surplus to China for it’s see-peck projects, enabling pa(k)istan to fund it’s terror infra with the rest of it’s budget? Can’t you see the irony here? China-Pak are a Nexus, and Pak is being rewarded for it’s dirty tricks towards India by SheJingPing. Also, FYI we have had several clash with the PLA between 62 & doklam, so your theory of ” great China spares us militarily” seems a bit flawed. You maybe scared, others are not and anyways it’s not like you are posted on LAC either. So worry less and keep buying Chinese products. China’s नाभि (its navel or Achilles’ heel) is its vast manufacturing capacity. While the purely market-driven, consumption oriented, credit-devouring Western economies cannot afford to let go of Chinese imports, and keep the cash flow moving into the Dragon’s mouth, India has not much to lose by putting a lid on Chinese imports. It just requires political will to actually turn the slogan ‘Make in India’ into reality that reduces the market potential for China. However, where’s the political will? Our politicians, especially the self-appointed Chowkidar (rather bouncer), will curse Nehru for 1962 and much more, but will not transform his bombastic slogans into reality. ‘Make in India’ and ‘Start-up India’ has given way to ‘Job less in India”. I am not impressed at all. I go to China regularly for business. The Chinese would have done exact opposite of what you are advising here. Chinese businessmen tell me that you need to hold Pakistan by the throat and shake them a bit to let them know you better. China does this to the world on all issues. Unfortunately a section of India is so enamoured by communism and Mao that they feel that Chinese capitalism is a product of Mao ! There is still no free media in CHina. No multi party rule. No religion. but for these innocents… China is perfect ! We will never know the true sequence of events that led to the 73 day standoff over Dokalam. As far as foreign policy is concerned, it should always be about the national interest. Which government is in office at a particular point in time is largely incidental over the course of a troubled relationship that is more than half a century old. China is now in America’s league; it does not diminish us to acknowledge that fact and formulate our policies accordingly.